Definition at line 51 of file util-file.h. Referenced by FileAppendGAPById(), and FileCloseFilePtr(). Definition at line 44 of file util-file.h. Referenced by FileTrackedSize(), and OutputRegisterFileLogger(). Definition at line 39 of file util-file.h. Definition at line 37 of file util-file.h. Referenced by FileDisableMagic(), FileFlowToFlags(), FileOpenFile(), FileTrackedSize(), and SMTPProcessDataChunk(). Definition at line 38 of file util-file.h. Referenced by FileAppendGAPById(), FileDisableMd5(), FileFlowToFlags(), FileOpenFile(), and SMTPProcessDataChunk(). Definition at line 40 of file util-file.h. Referenced by FileAppendGAPById(), FileDisableSha1(), FileFlowToFlags(), and FileOpenFile(). Definition at line 42 of file util-file.h. Referenced by FileAppendGAPById(), FileDisableSha256(), FileFlowToFlags(), and FileOpenFile(). Definition at line 45 of file util-file.h. Referenced by DetectEngineStateResetTxs(), FileCloseFilePtr(), FileContainerSetTx(), FileDisableFilesize(), FileDisableStoring(), FileFlowToFlags(), FileOpenFile(), FileTrackedSize(), and HTPFileOpen(). Definition at line 48 of file util-file.h. Referenced by FileContainerSetTx(), and FileDisableFilesize(). Definition at line 41 of file util-file.h. Definition at line 43 of file util-file.h. Referenced by FileAppendGAPById(), and FileTruncateAllOpenFiles(). Definition at line 46 of file util-file.h. Referenced by DetectEngineStateResetTxs(), FileDisableStoring(), FileDisableStoringForTransaction(), FileOpenFile(), FileStore(), HTPFileOpen(), OutputRegisterFiledataLogger(), and SMTPProcessDataChunk(). Definition at line 47 of file util-file.h. Referenced by FileTrackedSize(), and OutputRegisterFiledataLogger(). Definition at line 36 of file util-file.h. Referenced by FileCloseFilePtr(), FileDisableFilesize(), FileTruncateAllOpenFiles(), OutputRegisterFiledataLogger(), and SMTPProcessDataChunk(). Definition at line 49 of file util-file.h. Referenced by FileOpenFile(), FileTrackedSize(), and SMTPProcessDataChunk(). Definition at line 50 of file util-file.h. flow file is completed, there will be no more data. flow file is not complete, but there will be no more data. Definition at line 53 of file util-file.h. Store a chunk of file data in the flow. The open "flowfile" will be used. Definition at line 663 of file util-file.c. References SCEnter, SCReturnInt, and FileContainer_::tail. Referenced by HTPFileStoreChunk(), and SMTPProcessDataChunk(). Store/handle a chunk of file data in the File structure The file with 'track_id' in the FileContainer will be used. Definition at line 687 of file util-file.c. References File_::file_track_id, FileContainer_::head, File_::next, SCEnter, SCReturnInt, and FileContainer_::tail. Definition at line 718 of file util-file.c. References FILE_HAS_GAPS, FILE_MD5, FILE_NOMD5, FILE_NOSHA1, FILE_NOSHA256, FILE_SHA1, FILE_SHA256, File_::file_track_id, File_::flags, FileContainer_::head, File_::next, SCEnter, SCLogDebug, SCReturnInt, and FileContainer_::tail. Definition at line 963 of file util-file.c. References FileCloseFilePtr(), SCEnter, SCReturnInt, and FileContainer_::tail. Referenced by HTPFileClose(), and SMTPProcessDataChunk(). Definition at line 979 of file util-file.c. References File_::file_track_id, FileCloseFilePtr(), FileContainer_::head, File_::next, SCEnter, SCReturnInt, and FileContainer_::tail. Definition at line 881 of file util-file.c. References FILE_HAS_GAPS, FILE_MD5, FILE_NOSTORE, FILE_SHA1, FILE_STATE_CLOSED, FILE_STATE_ERROR, FILE_STATE_OPENED, FILE_STATE_TRUNCATED, FILE_TRUNCATED, File_::flags, len, SCEnter, SCLogDebug, SCReturnInt, File_::size, and File_::state. Referenced by FileCloseFile(), FileCloseFileById(), FileDisableFilesize(), FileTruncateAllOpenFiles(), and OutputRegisterFiledataLogger(). Definition at line 496 of file util-file.c. References FileContainer_::head, File_::next, and FileContainer_::tail. Definition at line 380 of file util-file.c. References SC_ERR_MEM_ALLOC, SCLogError, SCMalloc, and unlikely. Referenced by HTPFileOpen(), and SMTPProcessDataChunk(). Definition at line 416 of file util-file.c. References FileContainer_::head, File_::name, File_::next, next, File_::sb, SC_ERR_MEM_ALLOC, SCFree, SCLogError, SCMalloc, File_::sid, StreamingBufferFree(), FileContainer_::tail, and unlikely. Referenced by HTPStateFree(), and SMTPStateAlloc(). Definition at line 397 of file util-file.c. References FileContainer_::head, File_::next, next, and FileContainer_::tail. Definition at line 531 of file util-file.c. References BUG_ON, FILE_NOSTORE, FILE_NOTRACK, FILE_STATE_ERROR, FILE_STATE_OPENED, FILE_STATE_TRUNCATED, FileDataSize(), FileSetTx(), File_::flags, File_::sb, SCEnter, SCLogDebug, SCReturnInt, File_::size, File_::state, StreamingBufferAppendNoTrack(), and FileContainer_::tail. This doesn't reflect how much of the file we have in memory, just the total size of filedata so far. Definition at line 277 of file util-file.c. 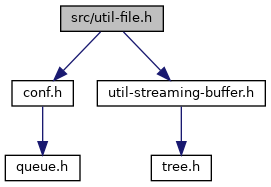 References StreamingBuffer_::buf_offset, File_::sb, SCLogDebug, and StreamingBuffer_::stream_offset. Referenced by DetectFilemagicRegister(), FileContainerSetTx(), FileDisableFilesize(), FileTrackedSize(), HTPFileClose(), OutputRegisterFiledataLogger(), and SMTPParserCleanup(). Definition at line 1184 of file util-file.c. References Flow_::alproto, Flow_::alstate, AppLayerParserGetFiles(), DEBUG_ASSERT_FLOW_LOCKED, Flow_::file_flags, FILE_NOSTORE, FILE_NOTRACK, FILE_STATE_OPENED, FILE_TRUNCATED, FileCloseFilePtr(), FileDataSize(), File_::flags, FLOWFILE_NO_SIZE_TC, FLOWFILE_NO_SIZE_TS, FileContainer_::head, File_::next, Flow_::proto, SCEnter, SCLogDebug, SCReturn, File_::state, and STREAM_TOSERVER. Definition at line 1036 of file util-file.c. References Flow_::alproto, Flow_::alstate, AppLayerParserGetFiles(), DEBUG_ASSERT_FLOW_LOCKED, Flow_::file_flags, FILE_NOMAGIC, File_::flags, FLOWFILE_NO_MAGIC_TC, FLOWFILE_NO_MAGIC_TS, FileContainer_::head, File_::next, Flow_::proto, SCEnter, SCLogDebug, SCReturn, and STREAM_TOSERVER. Definition at line 1067 of file util-file.c. References Flow_::alproto, Flow_::alstate, AppLayerParserGetFiles(), DEBUG_ASSERT_FLOW_LOCKED, Flow_::file_flags, FILE_NOMD5, File_::flags, FLOWFILE_NO_MD5_TC, FLOWFILE_NO_MD5_TS, FileContainer_::head, File_::next, Flow_::proto, SCEnter, SCLogDebug, SCReturn, and STREAM_TOSERVER. Definition at line 1106 of file util-file.c. References Flow_::alproto, Flow_::alstate, AppLayerParserGetFiles(), DEBUG_ASSERT_FLOW_LOCKED, Flow_::file_flags, FILE_NOSHA1, File_::flags, FLOWFILE_NO_SHA1_TC, FLOWFILE_NO_SHA1_TS, FileContainer_::head, File_::next, Flow_::proto, SCEnter, SCLogDebug, SCReturn, and STREAM_TOSERVER. Definition at line 1145 of file util-file.c. References Flow_::alproto, Flow_::alstate, AppLayerParserGetFiles(), DEBUG_ASSERT_FLOW_LOCKED, Flow_::file_flags, FILE_NOSHA256, File_::flags, FLOWFILE_NO_SHA256_TC, FLOWFILE_NO_SHA256_TS, FileContainer_::head, File_::next, Flow_::proto, SCEnter, SCLogDebug, SCReturn, and STREAM_TOSERVER. Definition at line 1004 of file util-file.c. References Flow_::alproto, Flow_::alstate, AppLayerParserGetFiles(), DEBUG_ASSERT_FLOW_LOCKED, Flow_::file_flags, FILE_NOSTORE, FILE_STORE, File_::flags, FLOWFILE_NO_STORE_TC, FLOWFILE_NO_STORE_TS, FileContainer_::head, File_::next, Flow_::proto, SCEnter, SCLogDebug, SCReturn, and STREAM_TOSERVER. Definition at line 1242 of file util-file.c. References Flow_::alproto, Flow_::alstate, AppLayerParserGetFiles(), DEBUG_ASSERT_FLOW_LOCKED, FILE_STORE, File_::flags, FileContainer_::head, File_::next, Flow_::proto, SCEnter, SCLogDebug, SCReturn, and File_::txid. Definition at line 217 of file util-file.c. References Flow_::file_flags, FILE_NOMAGIC, FILE_NOMD5, FILE_NOSHA1, FILE_NOSHA256, FILE_NOSTORE, flags, FLOWFILE_NO_MAGIC_TC, FLOWFILE_NO_MAGIC_TS, FLOWFILE_NO_MD5_TC, FLOWFILE_NO_MD5_TS, FLOWFILE_NO_SHA1_TC, FLOWFILE_NO_SHA1_TS, FLOWFILE_NO_SHA256_TC, FLOWFILE_NO_SHA256_TS, FLOWFILE_NO_STORE_TC, FLOWFILE_NO_STORE_TS, and STREAM_TOSERVER. Referenced by HTPFileOpen(), RegisterNFSTCPParsers(), RegisterNFSUDPParsers(), and SMTPProcessDataChunk(). Definition at line 111 of file util-file.c. Definition at line 86 of file util-file.c. Definition at line 158 of file util-file.c. References BUG_ON, ConfNodeLookupChild(), ConfNodeLookupChildValue(), ConfValIsTrue(), FileForceMd5Enable(), FileForceSha1Enable(), FileForceSha256Enable(), next, SC_ERR_DEPRECATED_CONF, SCLogInfo, SCLogWarning, TAILQ_FOREACH, and ConfNode_::val. Definition at line 130 of file util-file.c. Referenced by OutputRegisterFiledataLogger(), OutputRegisterFileLogger(), and SigMatchSignaturesGetSgh(). Definition at line 91 of file util-file.c. Definition at line 135 of file util-file.c. Definition at line 96 of file util-file.c. Definition at line 140 of file util-file.c. Definition at line 101 of file util-file.c. Definition at line 145 of file util-file.c. Definition at line 106 of file util-file.c. Definition at line 150 of file util-file.c. filename is not a string, so it's not nul terminated. If flags contains the FILE_USE_DETECT bit, the pruning code will consider not just the content_stored tracker, but also content_inspected. It's the responsibility of the API user to make sure this tracker is properly updated. Definition at line 778 of file util-file.c. References File_::fd, FILE_NOMAGIC, FILE_NOMD5, FILE_NOSHA1, FILE_NOSHA256, FILE_NOSTORE, FILE_STATE_ERROR, FILE_STATE_OPENED, FILE_STORE, FILE_USE_DETECT, FileContainerAdd(), FileStore(), FileTrackedSize(), File_::flags, File_::sb, SCEnter, SCLogDebug, SCReturnPtr, File_::size, File_::state, and StreamingBufferInit(). Referenced by FileOpenFileWithId(), HTPFileOpen(), and SMTPProcessDataChunk(). Definition at line 868 of file util-file.c. References File_::file_track_id, FILE_USE_TRACKID, FileOpenFile(), and File_::flags. Definition at line 345 of file util-file.c. References FileContainer_::head, File_::next, SCLogDebug, and FileContainer_::tail. Referenced by HTPFileClose(), HTPFileOpen(), HTPFileStoreChunk(), main(), OutputRegisterFiledataLogger(), OutputRegisterFileLogger(), and SMTPProcessDataChunk(). Definition at line 122 of file util-file.c. Definition at line 116 of file util-file.c. Sets the offset range for a file. Definition at line 751 of file util-file.c. References File_::end, SCEnter, SCReturnInt, File_::start, and FileContainer_::tail. Set the TX id for a file. Definition at line 523 of file util-file.c. References SCLogDebug, SCReturnInt, and File_::txid. Referenced by FileContainerSetTx(), and HTPFileOpen(). Tag a file for storing. Definition at line 511 of file util-file.c. References FILE_STORE, File_::flags, and SCReturnInt. Referenced by FileOpenFile(), FileStoreAllFiles(), FileStoreAllFilesForTx(), and FileStoreFileById(). Definition at line 1303 of file util-file.c. References FileStore(), FileContainer_::head, File_::next, and SCEnter. Definition at line 1288 of file util-file.c. References FileStore(), FileContainer_::head, File_::next, SCEnter, and File_::txid. flag a file with id "file_id" to be stored. Definition at line 1273 of file util-file.c. References File_::file_store_id, FileStore(), FileContainer_::head, File_::next, and SCEnter. This doesn't reflect how much of the file we have in memory, just the total size of file so far. Definition at line 294 of file util-file.c. References File_::content_inspected, File_::content_stored, FILE_LOGGED, FILE_NOMAGIC, FILE_NOSTORE, FILE_STATE_CLOSED, FILE_STORED, FILE_USE_DETECT, FileDataSize(), File_::flags, MIN, RunModeOutputFiledataEnabled(), RunModeOutputFileEnabled(), File_::sb, SCEnter, SCLogDebug, SCReturnInt, File_::size, File_::state, and StreamingBufferSlideToOffset(). Referenced by DetectFilesizeRegister(), FileOpenFile(), and SMTPParserCleanup(). Definition at line 1316 of file util-file.c. References FILE_SHA256, FILE_STATE_OPENED, FILE_TRUNCATED, FileCloseFilePtr(), File_::flags, FileContainer_::head, len, File_::next, SCEnter, and File_::state. Referenced by AppLayerHtpPrintStats(), and SMTPStateAlloc().